If you have decided to make a water feature or pond part of your garden, you are probably asking an important but very basic question: “Which pump is the right one for me?” There are two good ways to get an answer to your question but before you try one or both of these, stop for a moment and think about what you want your pond to do as a garden addition. This is essential information because pumps are designed for specific tasks. If you feel you have a good idea what you are trying to accomplish or if you are making a change to your pond that requires a different pump, you may want to start by visiting the website of one of the leading suppliers of high-quality pumps for this purpose. Suppose your installation calls for a pump that you have heard or read about called a filter pump or a watercourse pump. The purpose of a filter pump is to move dirty water to a pond filter system. This pump is often used in fish ponds and Koi ponds. This same type of pump can be used for a watercourse, waterfall, or stream. You should always consider the energy consumption level of pumps used in this way because they generally run all the time. In contrast to the filter pump or watercourse pump, you have the fountain pump, which is designed to produce a decorative display such as a spray or jet of water. They force water upwards and can often be fitted with nozzle attachments to produce the pattern you desire. In most cases, a large strainer surface area means that it isn’t necessary to clean this system as often as some others. Some installations work best with a floating fountain that has a pump suspended underneath. This draws the cleaner water from near the surface so it doesn’t have to handle the silt from deeper in the pond. You should always consider this when you are deciding how to install a pond pump in your garden. Statuary is another type of water feature that will use a specific pump design. These pumps may be used with statues, ornamental columns, and the like. They are compact in design and are made specifically to regulate water flow to the top of the water feature. Depending on the actual feature in question, these pumps may be submersed in the water or dry mounted. In some cases, you may have to use a specially designed pump to remove unwanted or excess water from a basement or from an outside area. You should consult someone who has experience with all of these pump types so that he or she can make suggestions and recommendations for your installation. Get started by visiting the website of the leading supplier of high-quality garden and pond pumps. As you browse, be sure to visit the selection guide so you know what type of pump you need and what size hose will work best with your particular situation. 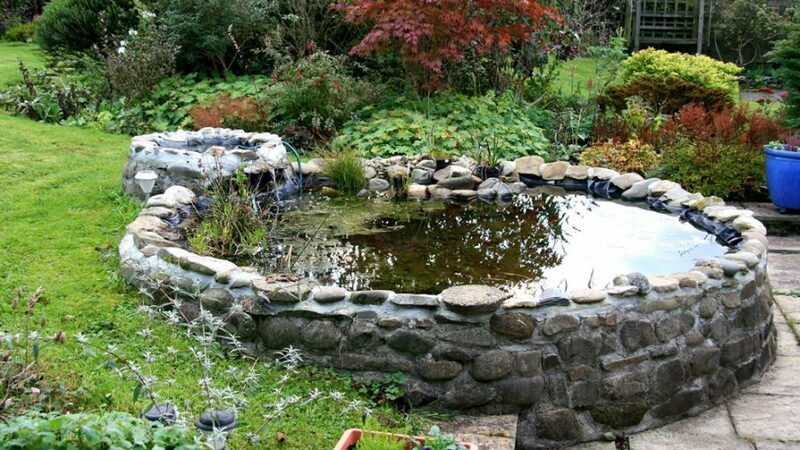 A pond or water feature can make your garden unique. Do it the right way with professional help.